Sixteen-year-old Kate has a talent for disappearing. Framed for murder, and hunted by a violent gang, she's running for her life . . .
Nathan is the young recruit tasked with finding Kate before her enemies track her down. He's determined to stay detached no matter what. But when Nathan and Kate's paths collide, neither is prepared for the electricity that sparks between them. As the net tightens, can they trust each other long enough to stay alive? Or will their next kiss be their last? As a member of the Young Detective Agency Kate was sent to Indonesia on a mission to infiltrate the Scorpion gang and help put a stop to their human trafficking operation. She was betrayed by her partner though and is now being hunted by dangerous criminals. The YDA have been trying to find Kate since she disappeared a year ago and now that there are rumours she has returned to England Nathan and his team are sent to bring her back to safety. Kate has good reason to believe that there is a mole in the YDA though and she fears going back will be the death of her. Can Nathan convince Kate to trust him and can he keep her safe while he tries to figure out who has betrayed them? I'm a huge fan of Joss Stirling, I love her Savant's series and I really enjoyed the first YDA book Struck (originally released as Storm and Stone) so I was very excited to get my hands on a copy of Stung and couldn't wait to read it. The story is just as action packed as you'd expect and I loved the mystery and trying to uncover who was working for the Scorpions. I also enjoyed learning about Kate's original mission and how she had been conned by both the gang and her YDA partner which lead to her giving away critical information unwittingly. Kate has been through a lot and she hates herself for what happened, she also finds it very hard to trust anyone and has has spent a whole year living moment to moment trying to stay one step ahead of the gang. After the betrayal by her friend and partner Tina it's completely understandable why she didn't turn to the YDA for help and why she is so reluctant to trust Nathan now. Nathan is a great character too, he is charming, smart and protective of both the YDA and of Kate and I enjoyed seeing him slowly putting everything together. It was great to catch up with the other members of the YDA too, I loved Raven and Kieran in the first book and it was nice to see how they're getting on as well as getting to know some of the other team members who I'm assuming will get stories of their own further down the line. Where Stung fell down a bit for me was with the romance. Although I really liked both characters individually and even felt that they made a good couple I thought the romance a bit too rushed considering the circumstances. They pretty much fell straight into a relationship which I didn't find believable because of Kate's trust issues. I get that they knew each other before everything went wrong for her but at the same time she had already been badly hurt by friends and I think she would have needed more time to be sure that Nate was one of the good guys. The romance didn't spoil my enjoyment of the story but I think it would have been so much better if it had been a slow burner. Stung is still a great read though and one I'd definitely recommend to anyone who enjoyed the first book in the series. There is plenty of action along with a great mystery and I'm sure Joss Stirling fans will enjoy it. 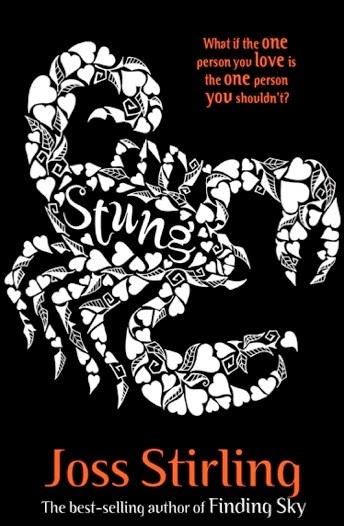 Thanks to the lovely people at Oxford University Press I have 3 copies of Stung to giveaway to some of my UK followers. You can enter using the Rafflecopter form below, THREE winners will be chosen at random and contacted soon after the giveaway ends for their contact information. The prizes will be sent out directly by Oxford University Press so you must give me permission to share your address if you wish to receive your prize.